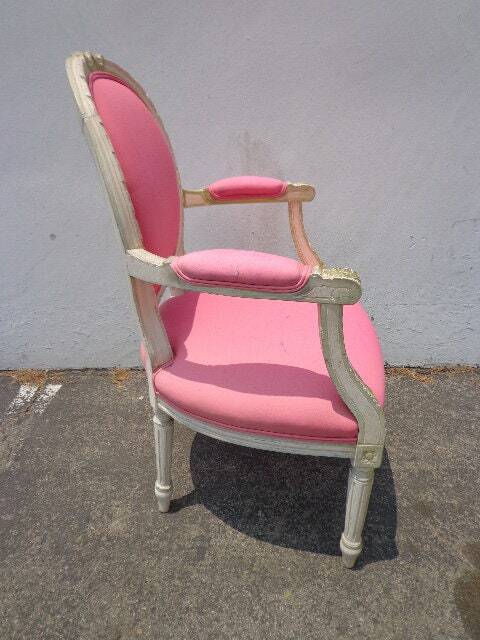 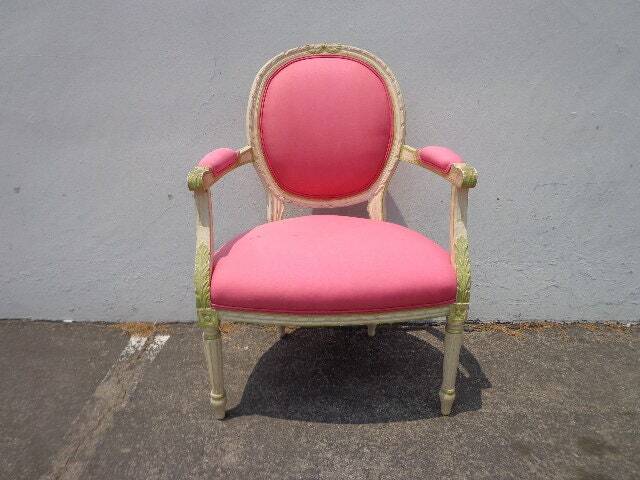 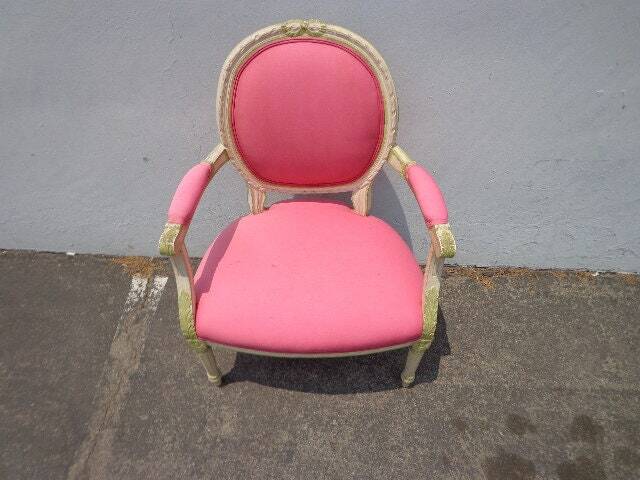 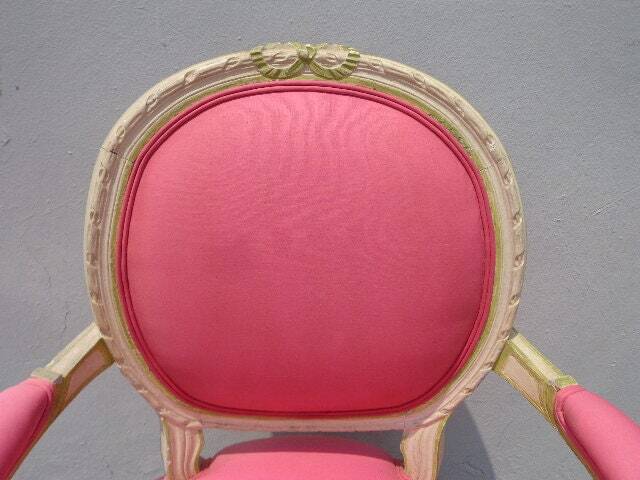 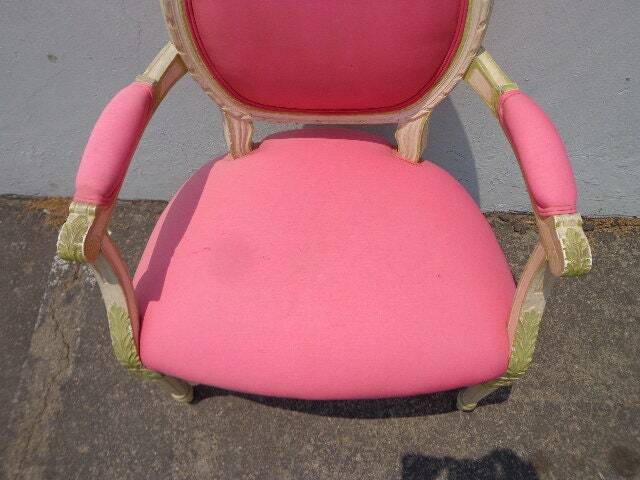 Classic French bergere chair with a super pretty carved wood frame and bright pink upholstery. 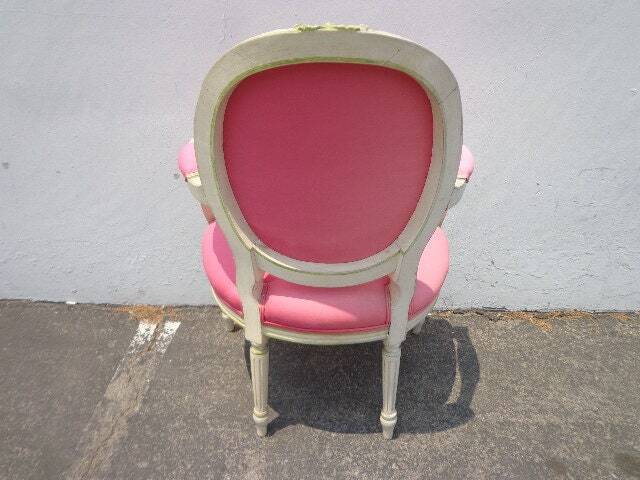 The elegant shape and frame make this a wonderful accent piece for any space or room. 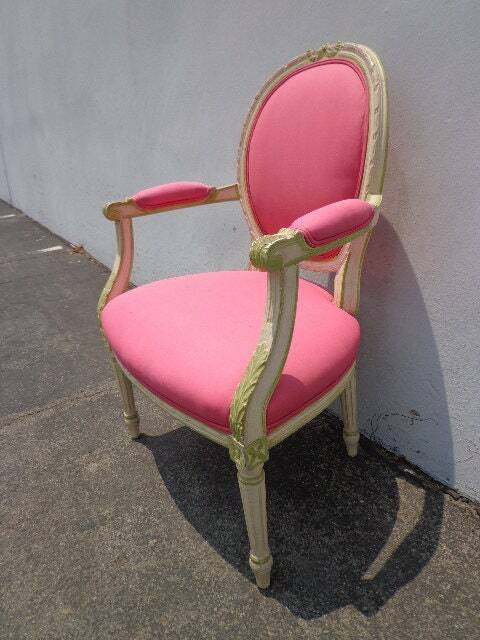 Features a sturdy, solid wood frame with Queen Anne inspired character and very pretty detailing. 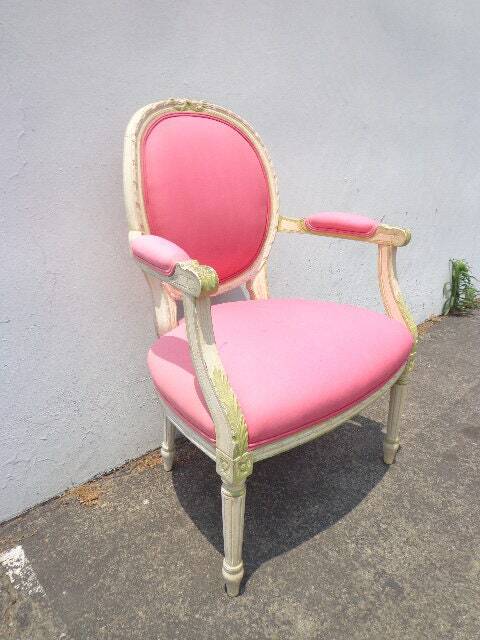 Overall good vintage condition and very sturdy. 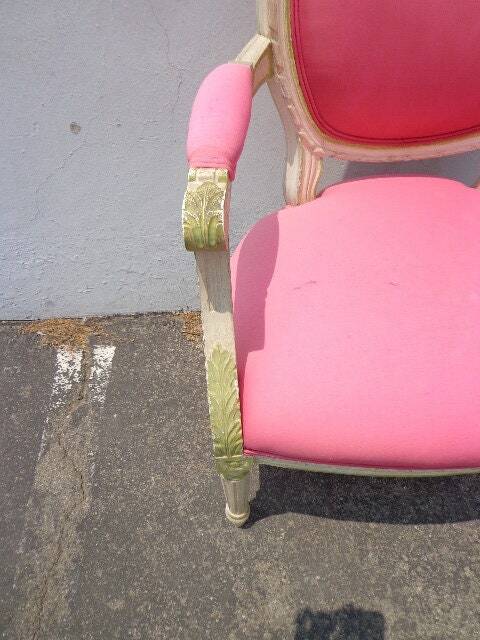 Shows wear that is commensurate with age and use. 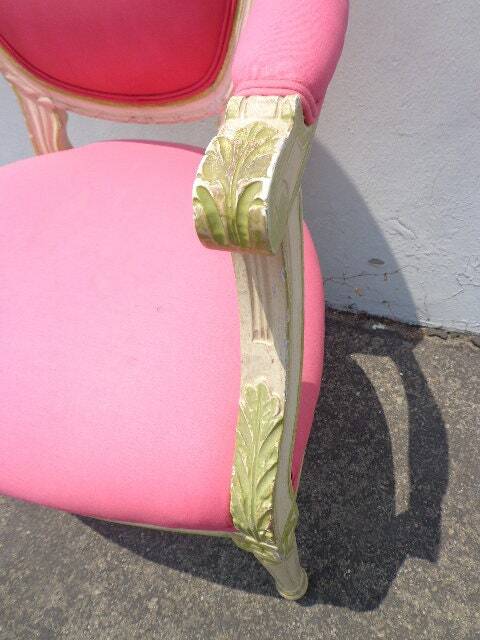 The fabric may need some cleaning.